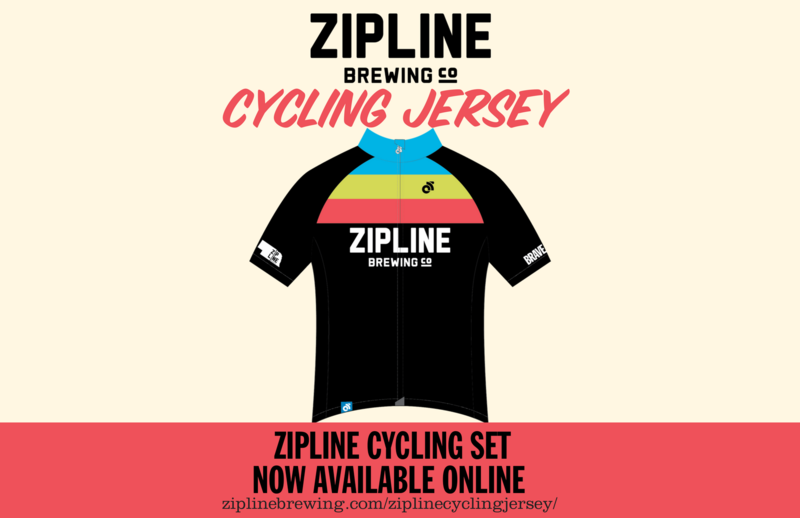 Cycling Jersey - Zipline Brewing Co.
Spring orders are due by July 2nd to ensure delivery for summer rides. Get your Zipline Cycling Jersey Spring order in now. Simply choose the matching pieces in the Hoppy Cycling Jersey set you would like including the specific material that you would prefer. You can have your Cycling Jersey sent directly to you or have it delivered to Zipline Taproom for pick-up. Payment is required at time of purchase. Check out the varying materials available for the Zipline Cycling Jersey set Saturday April 14th during Beer to There.